A relatively short blog this week. When it’s published, I’ll be in Venice – and by complete coincidence (naturally!) we’re staying next to the great Venetian dockyard, the Arsenale, and the naval museum. Does this mean that a future Quinton story might be set in Venice? I couldn’t possibly comment…but hopefully next week’s post will contain some of my impressions of La Serenissima. In practice, this problem impacts on the names I’ve used in the Quinton series. In the Stuart period, there were inevitably a lot of Charleses and Jameses, named in honour of the kings, and despite the potential for confusion (because he would have to interact a great deal with his namesake, Charles II), I knew that the elder brother of Matthew, as the heir to an earldom born in the late 1620s, would almost certainly have been named Charles. But otherwise, I’ve tried to vary characters’ Christian names as much as possible, drawing on my two main sources for names – gravestones and thirty years’ worth of student mark books. At least the Puritans provide much-needed variety – hence the real Praisegod Barebone and my invented character in Gentleman Captain, Godsgift Judge. I recently tweeted a few favourites from some local gravestones – the splendid Original Jackson (did he have a sister called Plagiarism, or a brother called Unique? 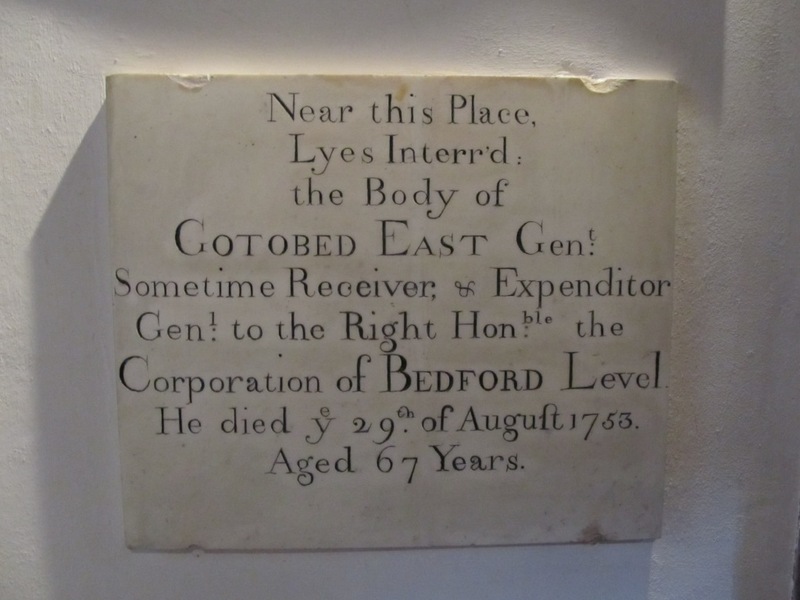 ), the simply astonishing Nimrod Folbigg (now that should be the name of a Bond villain) and the hilarious but intriguing Gotobed East; just what set of circumstances led to a child being inflicted with that, and just how tough a time of it would he have had growing up, even in the eighteenth century? 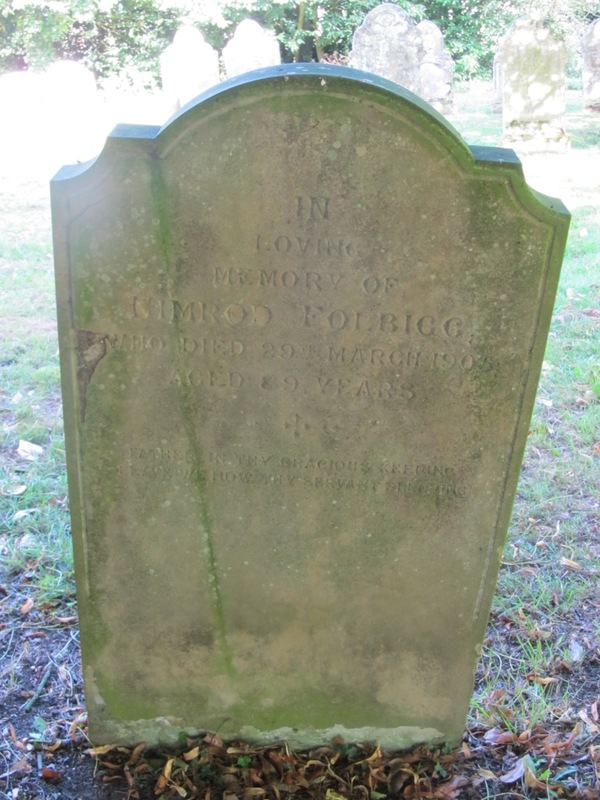 Just to prove I’m not making these up, I’ve included photos of the memorials to the last two gentlemen, in the churchyard of Cockayne Hatley, Bedfordshire, and in Ely Cathedral respectively. Thanks for your kind words about The Eagle Clawed Wolfe in your last post. As I believe I’ve mentioned before I dug into the Arsenale for my MA dissertation and look forward to your perspective and will no doubt bore you at length inrply. My favourite hidden secret of Venice is that, according to Jan Morris, the markings on one of the lion gate guards at the Arsenale gate, plundered from Constantinople, are runes suggesting that they were put there by one of Harald Hardrada’s men when he was serving in the Vangarian guard. It is too good a story not to be true. Love it, David! I have been collecting my own names, mostly last names, to use in my writing. Whole schools of fish – Pike, Salmon, Bass, Guppy, etc. Flocks of Swans, Nightingales, Larks, Peacocks, and Ducks. Silence and Loud, Chesewright, Lamb, Custard, and Rabbitt are a few more. In the Bess of Hardwick book, there are legions of Annes, Marys, Janes, Elizabeths, and Catherines. Bess had a younger half-sister also named Elizabeth, who I’ve called Eliza, and a daughter Elizabeth, who is Bessie. Elizabeth Brooke became Lizzie. Bess had both an older sister and a younger half-sister named Jane. The older one doesn’t appear much, but I’ve made the younger one Jenny to distinguish her from Jane Grey, who is a major character. Catherine I’ve mostly saved for Catherine Parr. So there is Cat Howard, Kate Grey, and Kitty Cavendish. Oy.